British administrator, financier and philanthropist. In his will he left £6,000,000 to public service and endowed 170 Oxford scholarships. A charter member of Bulawayo Lodge No. 2566, Rhodesia in 1895, he gave the site on which the lodge built a temple. Although he continued his association with Freemasonry, his first impressions of the Craft were not favourable. 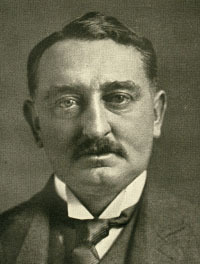 The fifth son of the vicar of Bishops Stortford in Hertfordshire, Rhodes was sent out to join an elder brother who was growing cotton in Natal. Having made some money in South Africa he was able to return to England to go up to Oxford. Early in 1874 he fell ill after rowing and a doctor whom he consulted decided he had not six months to live'. 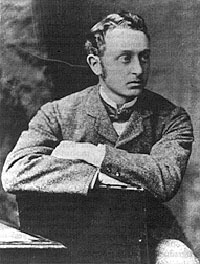 He returned to South Africa where his health improved sufficiently for him to return to Oxford , and eventually obtained his degree at the age of twenty-eight. Having made a huge fortune in southern Africa, where Rhodesia was named after him, he was able to found the Rhodes Scholarships and to leave £100,000 to Oriel College. 1. General Smuts, Sarah Gertrude Millin. London: Faber and Faber Limited, 1936. p. 221. Cf. : "It was Rhodes, too, who in 1887 told the [Cape Colony] House of Assembly in Cape Town that 'the native is to be treated as a child and denied the franchise. We must adopt a system of despotism in our relations with the barbarians of South Africa'. In less oratorical moments, he put it even more bluntly: 'I prefer land to niggers.'" Matthew Sweet, "A Bad Man in Africa," London Independent, 16 March 2002. Source uncited.